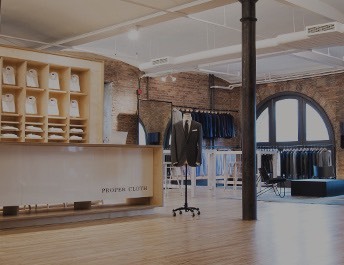 Proper Cloth has a range of pocket styles to choose from for both business and casual looks. 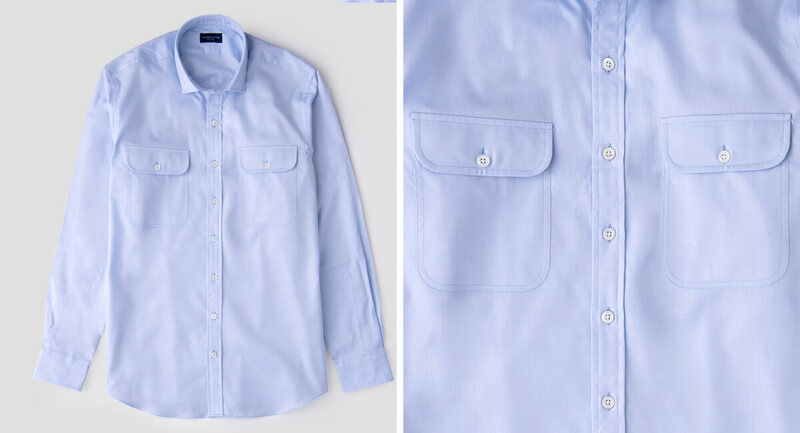 All pockets are placed such that the inside edge of the pocket is 2 1/8″ from the center of the shirt. 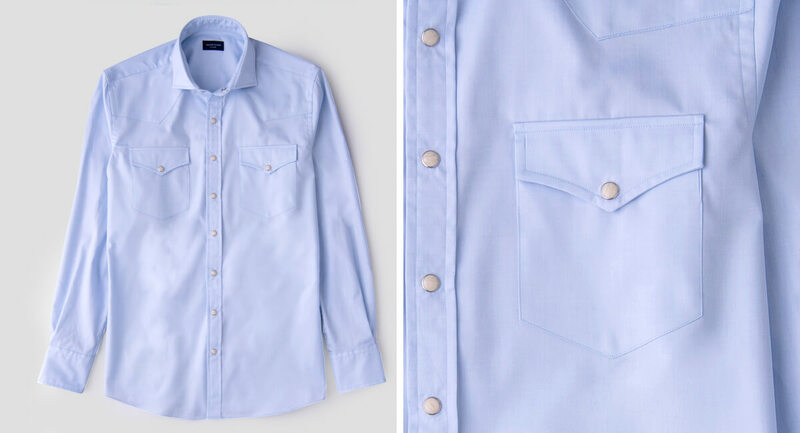 The rounded chest pocket is our standard dress shirt pocket, located on the left side of the chest. 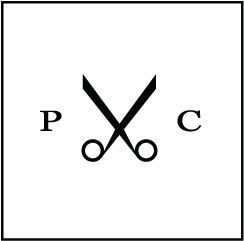 The pocket is positioned such that the top of the pocket is slightly above the second buttonhole (below the collar). The pocket measures 4 3/8″ x 5 3/16″ for most shirts, but will be slightly smaller (4 1/4″ x 4 5/16″) for very small shirts and slightly larger (5″ x 5 1/2″) for very large shirts. 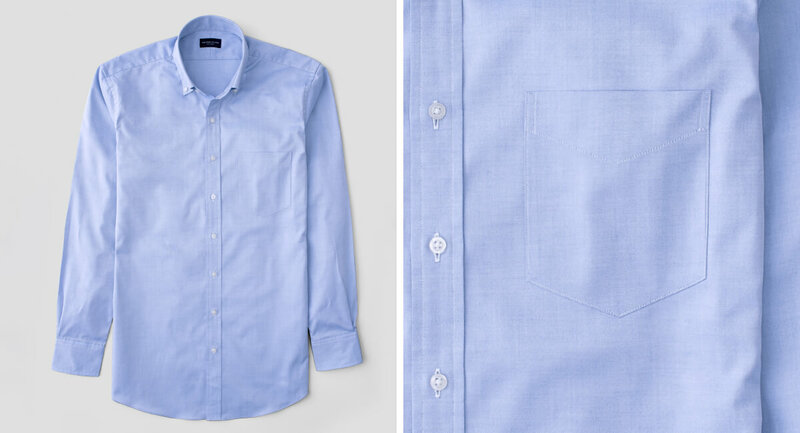 The angled chest pocket is a more casual dress shirt pocket option. The pocket is slightly smaller than the rounded pocket, located on the left side of the chest, and measures 4 3/8″ x 5 3/8″ for most sizes. The angled pocket will be slightly smaller (4 1/4″ x 5 3/8″) for very small shirts but does not increase in size for very large shirt sizes. The XL Rounded Pocket is our biggest dress shirt pocket style, ready to hold your finest fountain pen or larger smartphone. 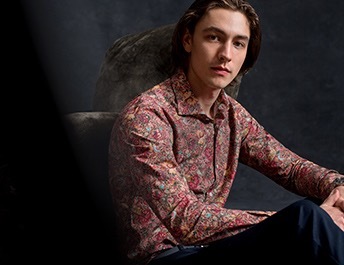 The pocket is positioned such that the top of the pocket is slightly above the second buttonhole (below the collar). The pocket measures 5 5/16″ x 6 1/2″ for most shirts, but will be slightly smaller (4 1/4″ x 5″) for very small shirts and slightly larger (6 5/16″ x 7 1/2″) for very large shirts. To complete your perfect Western shirt, or for that particularly casual custom shirt design of your dreams, consider the Western Flap Pockets. These pockets are larger in size than our single angled pocket, additionally with buttons and curved edged Western-styled flaps over them. They measure 4 5/8″ x 6″ including the flap. Buttons will match the other buttons on the shirt. Flaps contain a lightweight, unfused interlining. For a utilitarian, casual look, try our Rounded Flap Pockets. These pockets are larger in size than our standard rounded pocket, additionally featuring button-closure and rounded flaps over them. For most sizes, they measure 4 7/8″ x 6 3/8″ including the flap. 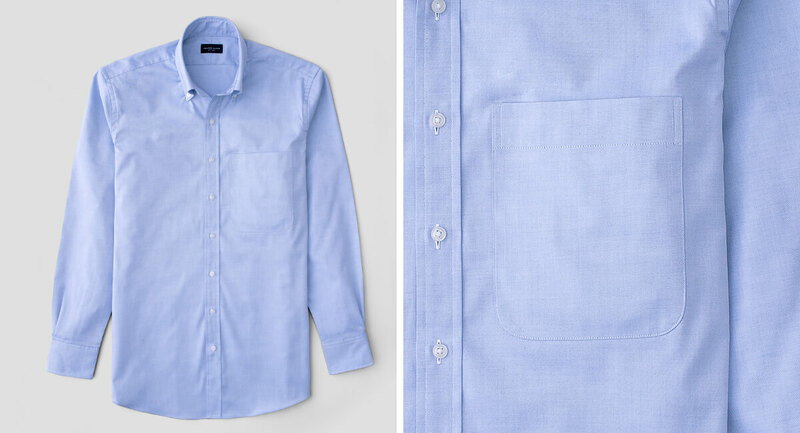 On particularly small shirt sizes, the pocket size decreases to 4 3/8″ x 5 3/4″. Buttons will match the other buttons on the shirt. Flaps contain a lightweight, unfused interlining. Another functional, casual style, is our dual Utility Pocket design. These pockets are larger in size than our standard rounded pocket, featuring button-closure and a unique pen sleeve detail on the left pocket. For most sizes, they measure 5″ x 5 3/4″. 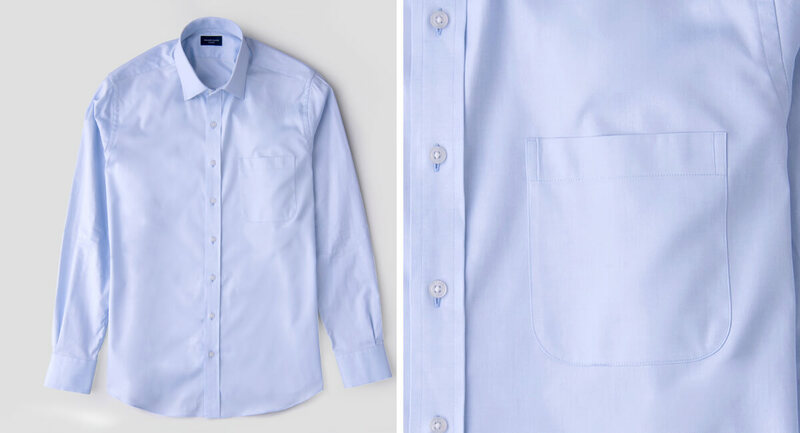 On particularly small shirt sizes, the pocket size decreases to 4 1/4″ x 5″. 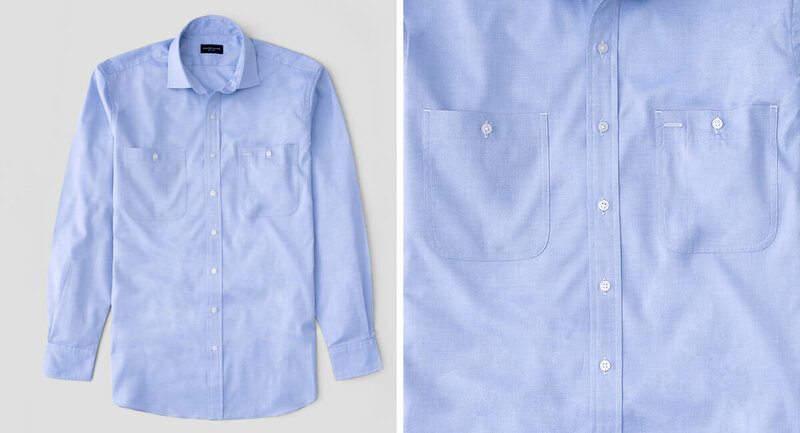 For extra large shirt sizes, the pocket size increased to 6″ x 6 1/2″. Buttons will match the other buttons on the shirt. *Note: Pocket sizes and placement are not customizable. How do I add a pocket to my shirt?